Why does the SPARK Project need teacher information? Teachers are vital to the SPARK Project data collection process. Each person who provides us information in this research project will contribute greatly to our understanding of factors related to resiliency and positive outcomes for children in foster care. This is the first project of this scope and breadth being conducted in partnership with the Jackson County foster care system, so we are very excited about the knowledge we may gain about the role of resilience in academic and behavioral outcomes in the school setting. Furthermore, understanding of youth's academic functioning is an integral part of assessing a youth's behavioral and emotional functioning overall; therefore teacher participation is paramount to garnering a complete picture of how resiliency and adaptation functions for youth in out-of-home placements across their various environments. How do teachers know when they are being invited to participate? During our data collection appointment with the youth participant and their caregiver, youth and their caregivers provide the SPARK research staff with the name of a teacher whom they would like to complete to the teacher survey on their behalf. SPARK staff then contact the district staff (e.g., special services directors) and the teacher by email with an invitation to participate in the teacher portion of the SPARK Project. Within that email teachers are provided with a link that will take them to the secure, online survey that they complete on the academic functioning of the child. Are teachers compensated for their time when they participate in the SPARK Project? Teachers are compensated for their time by receiving a $20 gift card for completing the Time 1 survey for a child, a $30 gift card for completing the Time 2 survey, and a $40 gift card for completing the Time 3 survey. What is the time commitment for teacher participation? 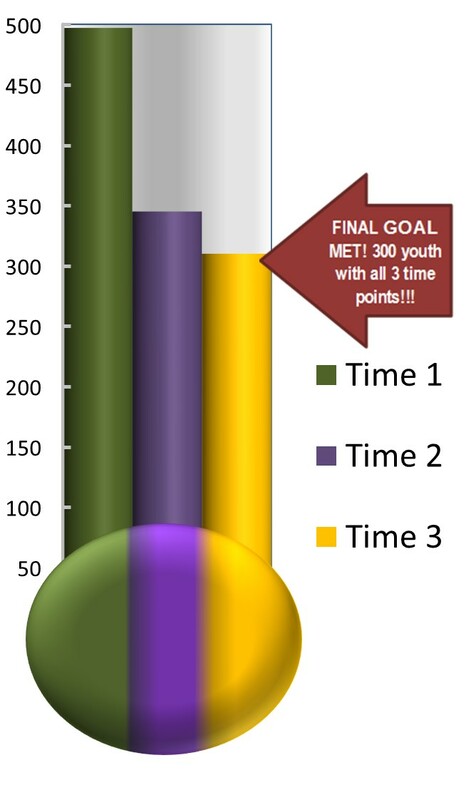 It is our goal to obtain a teacher report for each youth participant, across all three time points. The surveys we ask teachers to complete are conducted over the internet to promote ease of accessibility, and they can be completed anywhere the teacher has an internet connection. On average, the teacher survey takes less than 20 minutes to complete, and they can be completed at any time of day. How many teachers have participated so far? As of the Fall of 2013, we have had over 550 teacher surveys completed! Thank you to all the teachers who have offered their time to the project thus far!